Yesterday afternoon I had the pleasure of sitting in on the final class of an after school program aimed towards educating kids about humane relationships with animals. Project Mickey, named after a darling puppy that Jasmine’s House took in who passed away, officially kicked off its Pilot Program in April, and the results have been nothing but astounding. 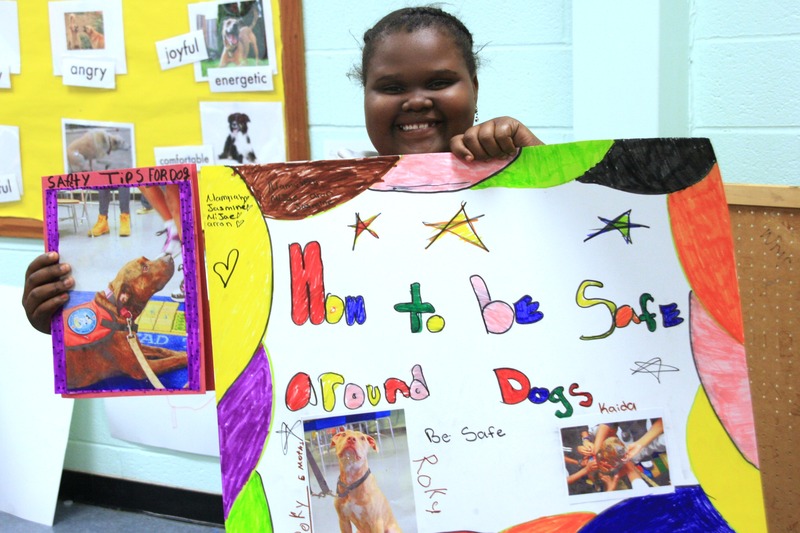 Fifteen 5th grade students from an inner city Baltimore public school participated in the program where twice a week they learned about a wide variety of dog related issues. 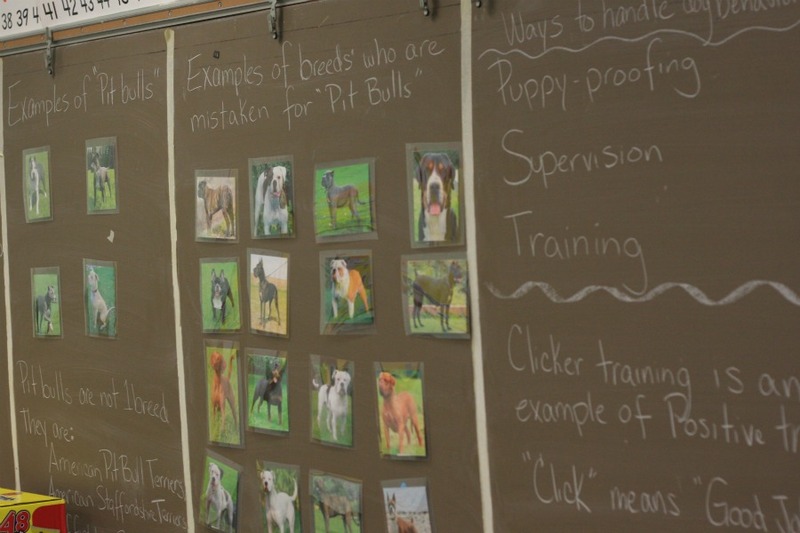 These kids not only gained knowledge about things like how to safely greet a dog, clicker training, and proper pet care – they also became very familiar with “pit bull” dogs, and the issues surrounding them. 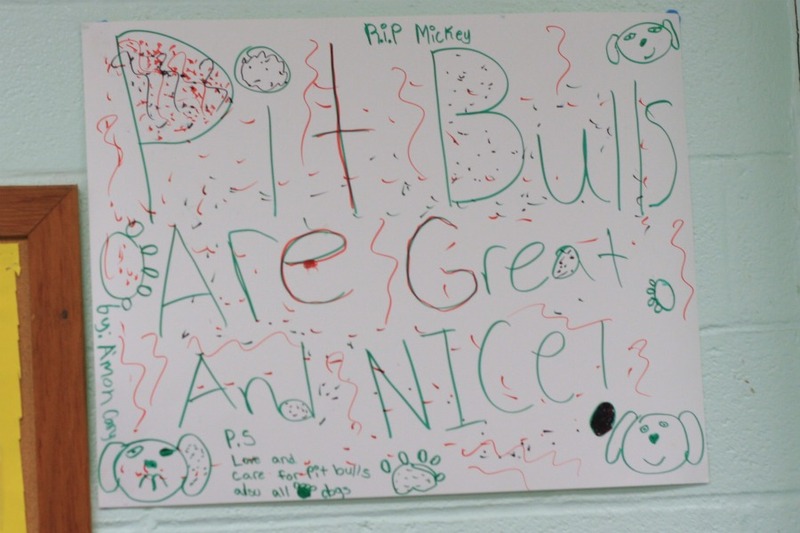 Most of these students began the four weeks with a negative image of a pit bull, and left just like the rest of us: with their hearts wrapped around the big square head of pit bull type dogs everywhere. Project Mickey is one of the most inspiring things I have ever gotten the honor of participating in. While I was only around for the end result, I could still see how much passion, creativity, and intelligence was pouring out of these kids on this topic. They learned to appreciate that dogs have feelings and that it is up to us to keep animals safe and healthy. Today was the day they worked on their final projects for next week’s presentation. While I don’t want to spoil much for any Jasmine’s House followers who are going to see the presentation next week, I will say that the ideas these children came up with to share what they’ve learned with their classmates absolutely blew me away. 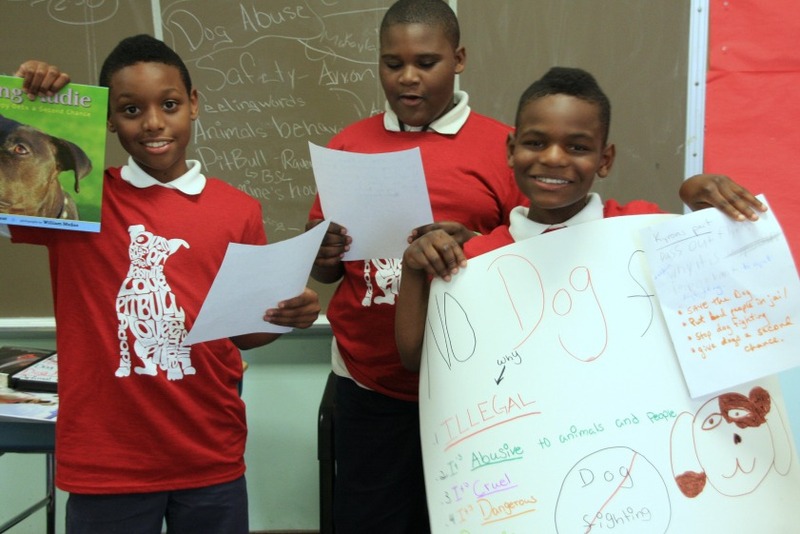 Kids are presenting on why dog fighting is bad, how to be safe around dogs, about pit bulls in general and why breed bans are no good, and more. It’s amazing what they’ve learned and what they’ve really seemed to soak up from their experiences. I’ll hopefully post more about Project Mickey as it evolves, but I can confidently say that Jasmine’s House has set up something magical here. These kids, many for their first time, experienced compassion for animals and will hopefully now be their voice among peers – something that likely never would have happened without the four weeks they spent with the school’s representative, the Jasmine’s House folks, a few ambassadogs, and a lot of great lessons. 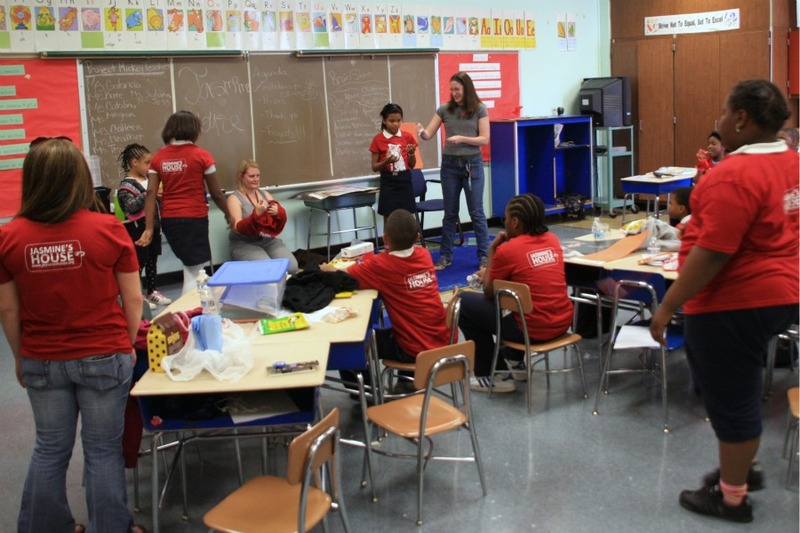 In order to grow and help more students each session, Project Mickey needs financial support. If you would like to help this program continue so more children can be reached, please consider donating to the cause today. This entry was posted in Baxter, Dog talk, Otis, Rescue/Humane Society and tagged Baltimore, children, children with pit bulls, educating, humane education, inner city youth, jasmine's house, learning. Bookmark the permalink. Love this! I’m going to see if my sister can do this at her school! OMG THIS MADE MY DAY! Love this Program! Wow, this is absolutely fantastic! What a great program, go Jasmine’s House!! This is an awesome program!! The kids look like they had fun learning and their poster’s are really cool!! Every school should have similar programs! Thank you for sharing! What a great cause! This “project” can cross over several subjects in the school curriculum – English, Social Studies, Art, and I bet they could even create a math lesson out of it. This is fantastic. Congratulations on such an important and positive program. The kids all look like they had a blast as well, which shows it isn’t just about lecturing and harping on a message. Thanks for sharing the information! This is exactly what makes Jasmine’s House such an amazing organization. THIS is the type of program that should be instituted in schools everywhere for so many reasons, and not just to spread pit bull love and awareness. SO many reasons. So great, Juliana!